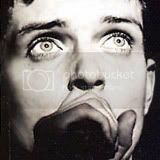 Joy Division Central > Categories > Joy Division collectors items > Ian Curtis autograph - can you help? I am a keen autograph collector and have a decent collection in the film and music area. 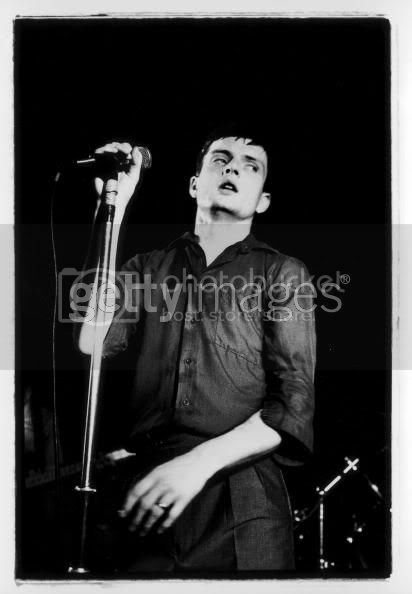 One autograph I'd still very much like to own is Ian Curtis'. I may have had one in my hands (literally) a few years back when a record/memorabilia seller I know in Norwich got one in (see pic below - if it works). It was a Transmission single signed on the back, apparently at the West Runton gig in November 1979. The dealer wanted to test it out on ebay and I didn't want to risk making an offer there and then as I had no clue what Ian's signature looked like. I was also a bit suspicious of it being on a record sleeve and very well placed at that. I had absolutely no doubts about the dealer's integrity. In the end I couldn't find enough examples on the internet to get happy with it (three max and all very different to one another) and it sailed off to Italy for £336. It is still shown on Popsike (sold on ebay UK on 16 December 2007) but I can find no discussion of it on this forum. Nearly 5 years on there are around three new signature examples on the internet but none are what I would call authenticated. I have a couple of questions: 1) Could anyone post some examples of Ian's signature that they obtained in person or from very reliable sources. 2) Does anyone know whether JD used to sell their records at their gigs. I cannot really imagine it but I also cannot imagine many people taking their records to a gig on the off-chance that they might be able to get them autographed - particularly for a band that is yet to make it big. Can't find it on Popsike do you have the URL? Ian signatures that I have in my collection (acquired by myself and not for sale). i'ld love to see them too.....& the story of their acquisition. more forgeries on the net. looked knackered, but when approached, seemed to pick-up. cheers mate....& a very nice anecdote (you lucky bugger!). Phil thanks for that story, any chance for me to see your scans too? "I tried to get to you...you treat me like this..."
From the description; "I am yet to find anywhere another example of this single signed". Could have something to do with it not having been released until 27 June '80 perhaps? "I'm off to see the Bootleg Beatles as the bootleg Mark Chapman"
The seller also sold this autographed piece of paper in a frame, funny how the autograph (allegedly from 1979) is very similar to the one supposedly done on LWTUA in May 80. Almost identical in fact, something Ian failed to manage on most of the autographs I've seen of his. That's not even considering the obvious flaw in this. The lesson is, it's barely worth buying autographs on eBay, ever! A large percentage will be fake, and you'll never know for sure either way. However, you will be poorer. Thats completely incorrect! If you knew, it was actually released twice, 1st time without charting and then second reissue after his death which then became their only chart success. to scam or he really believes he's right. The article that claimed an April release date is incorrect. Whoever wrote that article has taken the release date from the label - the label has 18/4/80 printed on it. Someone may well correct me if I'm wrong (although in this case I think I'm not) - but the dates on the record labels were projected release dates - and I believe that the event of the release date on the label actually matching up to the date the record WAS released coincidentally matches the amount of times Joy Division songs were covered by The Doors. "I Still Can't Hear Meself"
it's a known fact that lwtua was designed & released after ians demise,i'm just pointing out that it's impossible & you were betrayed by your supplier.none of your links confirmed your information supplied with the e-bay auction.hope you're not too crushed but with a little luck you'll find a sucker....................best wishes & regards................d.
It doesn't look like anyone actually bid, same goes for his other autographs (which are bound to be fake too if this is anything to go by), Kurt Cobain, Janis Joplin, Eddie Cochran, Billie Holliday, Jeff Buckley, all obvious big money targets for forgers, with strangely no cheaper and less likely to be forged ones up for sale. How weird. Buying autographs on eBay is a mugs game. dmxi - just one thing - the record was released after Ian's demise -but it was designed beforehand - there's Debbie's quote in TFAD where he was enthusiastically telling her about the metal sheeting on the cover looking like a tombstone - "at a time where usually he couldn't be bothered to talk to me"
"yer right, mate!" what i was trying to say was the finished product (single in sleeve) & not just the layout of the sleeve.......used the wrong word as i brainfarted a quick reply,my bad!